Backtrack keychain alcohol detector is one of those amazing gadgets which are always nice to review. It is among the smallest breathalyzers ever being designed. It is a quickly and easily tests breath device for verifying the presence of alcohol and also check about the blood alcohol contents. 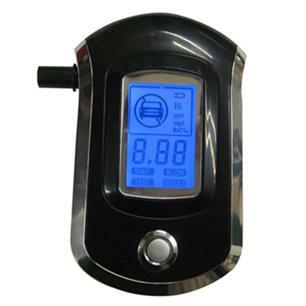 The breath alcohol contents estimator device is using an advanced system to find the BAC when you simply blow through its mouthpiece and an estimate of blood alcohol content is displayed within five seconds. There are more alcohol drinkers nowadays, mostly due to mixed alcoholic drinks which are getting the popularity as flavored and not mixing with pure content to react the mind. Mixed alcoholic drinks are much loved by young generation and it is important to save them using some modern techniques. You can take this breath alcohol detector anywhere and test the any one for BAC sampling. You will easily learn with blood alcohol content which is affected with your alcohol drinking habit and always be ready to make the quick decisions. It is easy to carry with yourselves, compact and including a keychain. Its folding mouthpiece design is easy to share and sanitary. Product specifications of breath alcohol detector are including a weight of only 2 Oz or 56 grams approx., advanced sensor technology with semiconductor, having detection range of 0-0.40 % BAC, one AAA battery for power and its battery life is 150 tests. It takes a warm up time of 11 to 13 seconds only and its response time is only 5 seconds, which shows its working capability and efficiency to detect the blood alcohol contents so quickly. The price range of this multi-functioning device is only $34.15. Don’t risk your previous life and those who show road to share with you. The digital keychain detector is for blood alcohol content and utilizing a state of art semiconductor sensor with its accurate results. With expansion of ecommerce websites, all the new eco-friendly gadgets are available in bundle prices and discounts for users around the world. This simple one button operation provides a digital reading for breath alcohol content and features an air flow sensor which will check and verify the amount of air which is blown into the device from your mouth. This eco-friendly gadget much loves to new generation and also include in Go Green gadgets of the year.